ANCHORAGE, Alaska (AP) — Alaska wildlife officials have launched new research into a highly endangered population of beluga whales. Aided by more than $1.3 million in federal grants, the research is aimed at determining why beluga whales in Cook Inlet have not recovered. The white whales were declared endangered in 2008. Mandy Keogh (KEE-oh), a physiologist with the Alaska Department of Fish and Game, says the population has remained suppressed at only 340 animals. One study will analyze teeth from hunted or stranded belugas to determine how whale feeding habits have changed. Chemical signatures in teeth can reveal whether belugas ate fish in the water column or prey along the ocean floor. 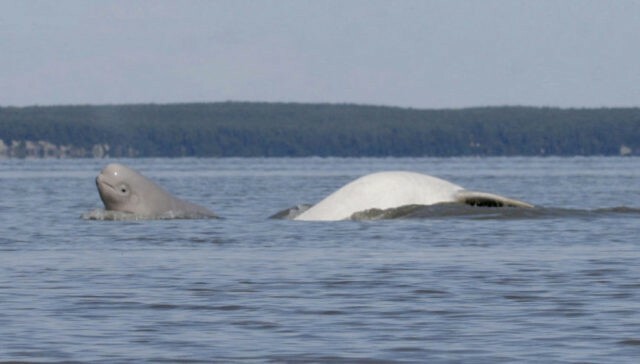 Using acoustic equipment, researchers will try to determine where belugas feed in winter and whether noise is affecting them.